Free Wi-Fi a gourmet lobby coffee shop and an eye-catching historic 1916 building all make the Hotel Whitcomb worthwhile for our guests. There are 447 rooms in this eight-story historical hotel. The cozy rooms reflect the building's Victorian heritage yet have modern touches like work desks and free Wi-Fi. The charming lobby has cathedral ceilings Tiffany glass and marble everywhere â€” and best of all a Starbucks. You'll also find a restaurant and lounge on-site. The business center helps road warriors make the most of their time away from the office while the fitness room makes it easy for active types to keep up with their workouts. Parking is available on-site (for a fee). 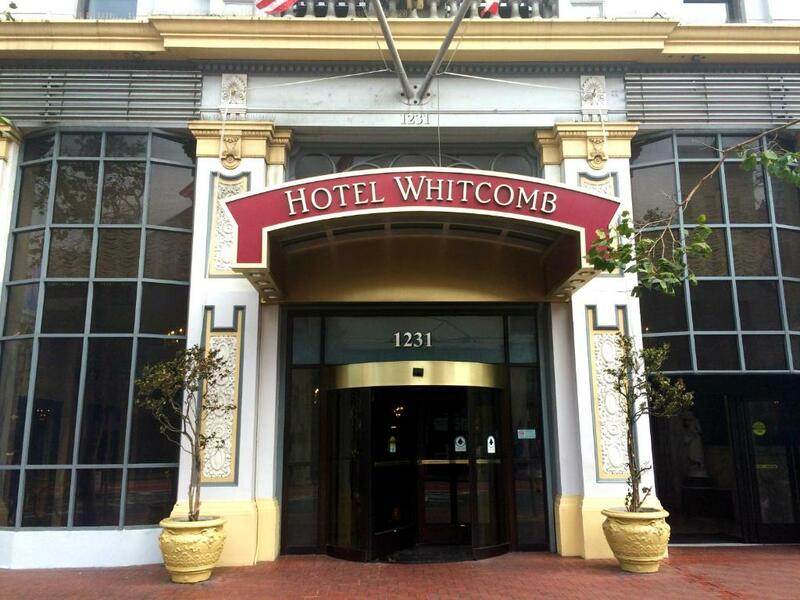 The Hotel Whitcomb is in SoMa (South of Market) about a half-hour's drive from San Francisco International Airport. The hotel is directly across from the landmark Orpheum Theater on vibrant Market Street. There is a BART (Bay Area Rapid Transit) rail station on the corner and the classic San Francisco streetcar line travels right in front of the hotel. Take the 10-minute drive to Pier 39 where you can see everything from sea lions to street performers do a little shopping at Fisherman's Wharf and get a bite to eat at a waterfront restaurant. Moscone Convention Center is about six blocks away as are the Yerba Buena Gardens. Hotel Whitcomb offers an old-world feel at a wholesale price plus free Wi-Fi and a fitness room.